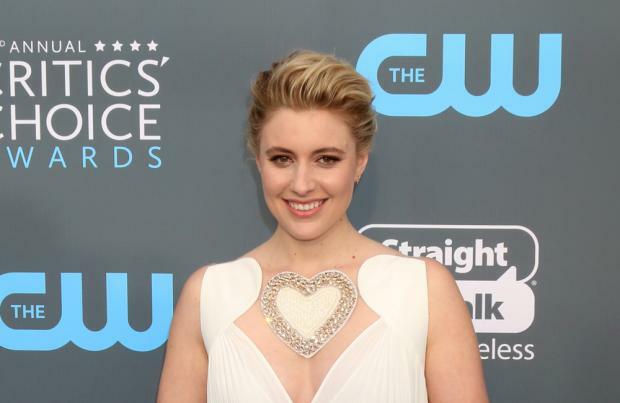 Greta Gerwig couldn't imagine anyone else but Saoirse Ronan starring in 'Lady Bird'. The 34-year-old actress made directorial debut with the coming-of-age comedy and Gerwig - who has been nominated for Best Director at this year's Academy Awards - has nothing but praise for her leading lady. In an interview with Time Out magazine, she said: "I can't imagine anyone else playing that part. "Saoirse is so transparent emotionally - when you look at her face you can almost tell what she's thinking. "Not all actors have that. She has this incredible ability to master accents and physicality, and she's spontaneous and alive." Although the film marks her directorial debut, Gerwig revealed she knew she always wanted to go into directing and spent 10 years learning the craft. She said: "I always knew I wanted to direct, so I spent the last 10 years learning my craft from different angles: from writing, to producing, to acting, to holding up a boom. "I was nervous starting this, but I had a good sense of what it takes to make a film. Other people go to film school; I cobbled it together differently." Gerwig is the only female filmmaker to be nominated for an Academy Award this year. And she still thinks that Hollywood has a "way to go" in terms of ironing out the imbalance. She said: "I think we've got a way to go, but we're acknowledging the problem, which is that so few films are directed by women. "Last year it was only eight per cent of the top 100 [highest grossing] movies, which is a dreadful number. "The change might be 10 years away: it's a trickle-down effect. That said, I have loved all the movies that have come out that are directed by women - and not just because they're directed by women." 'Lady Bird' - which saw the film take home the Golden Globe for Best Film - follows outspoken teenager Christine (Ronan) who must navigate a loving but turbulent relationship with her strong-willed mother over the course of an eventful and poignant school year.